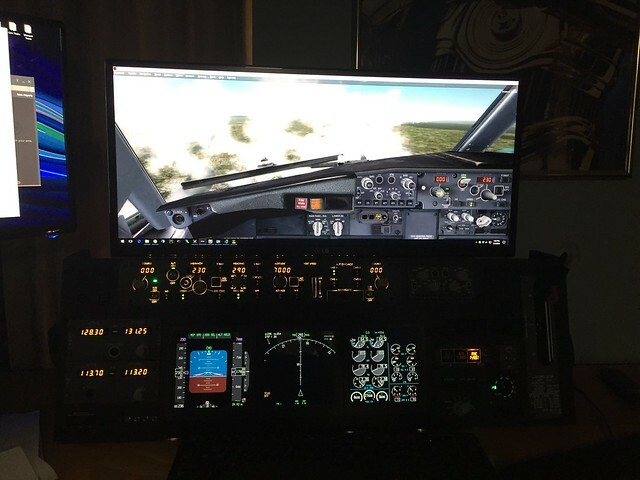 After taking a few years off from flight simming, I've recently got back into the swing of things after P3D V4 came out. 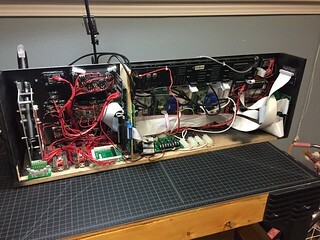 A few years ago I was planning on doing a full-scale build but that idea got scratched (or hopefully just put on hold till kids move out ), so now I'm doing another "Desktop" build using custom made panels and such. 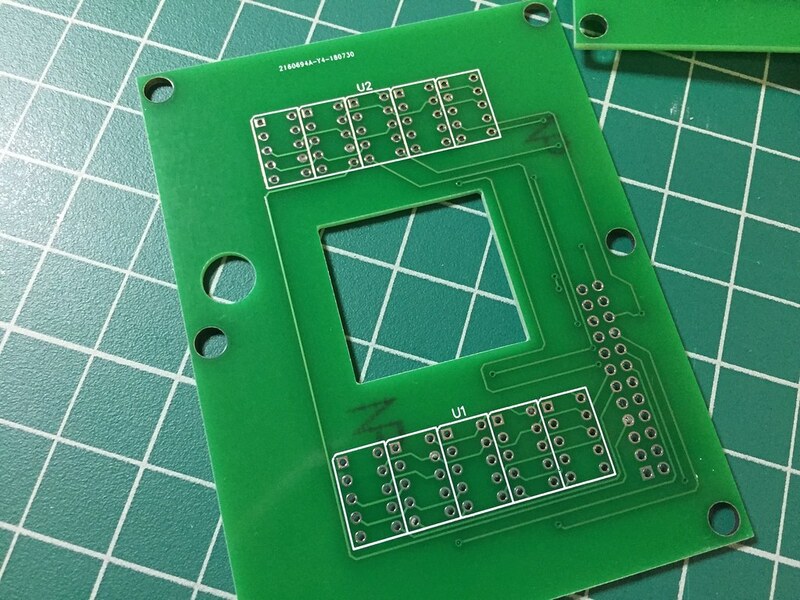 My two custom fabricated panels arrived yesterday afternoon and they came out great. My two main concerns were the opening for the FMC and the AFDS panel, but luckily they came out perfect and the items fit right in. 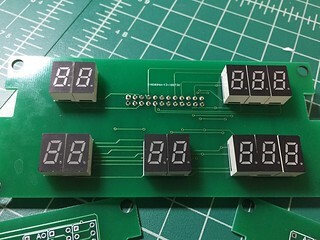 I ordered these from Front Panel Express this time around. 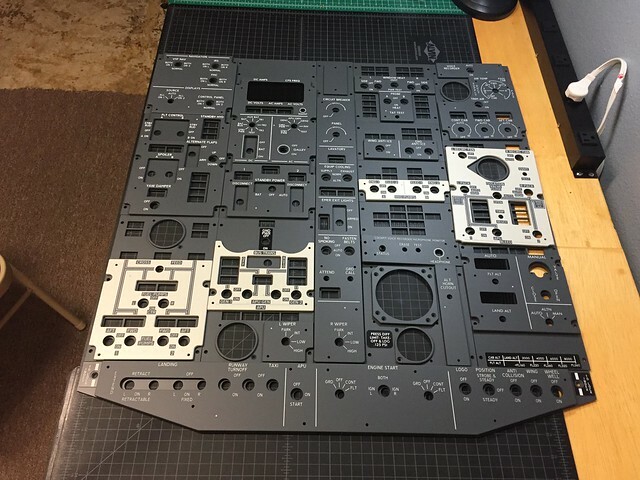 Order to delivery took 12 days and the panels came extremely well packaged as well. 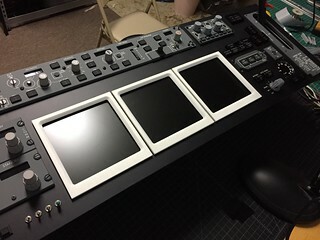 With the panels in hand, I can now work on building up the MIP frame and a housing for what I’ll just call the CDU panel. Very cool and welcome back. Winter time has kept working in the garage to a minimum but we've been having some warmer weeks lately, letting me get some work on the cockpit hardware done. 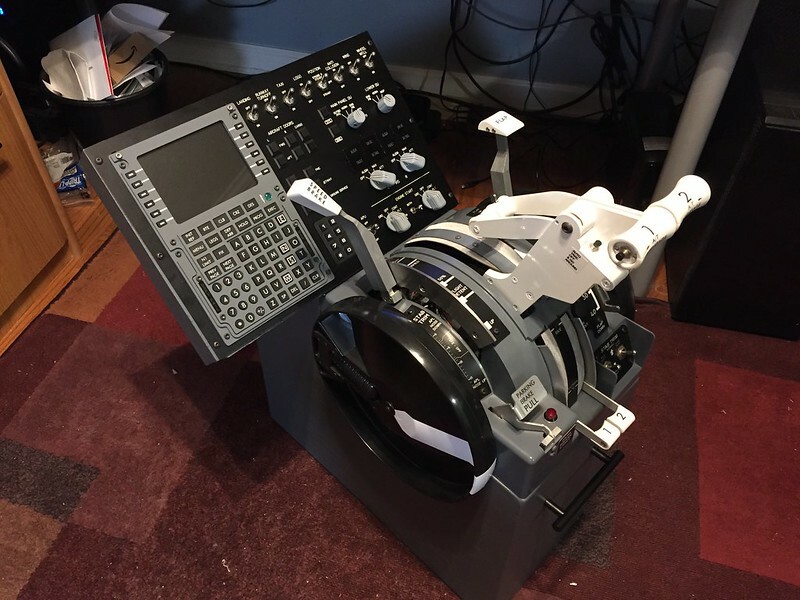 I've managed to nearly finish the CDU Bay/Throttle Pedestal. 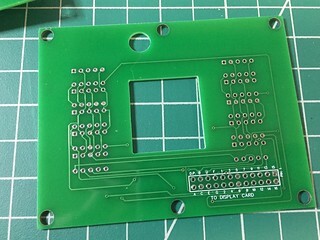 Only thing left if a couple wires that will need to be connected to the PCB board once it arrives. 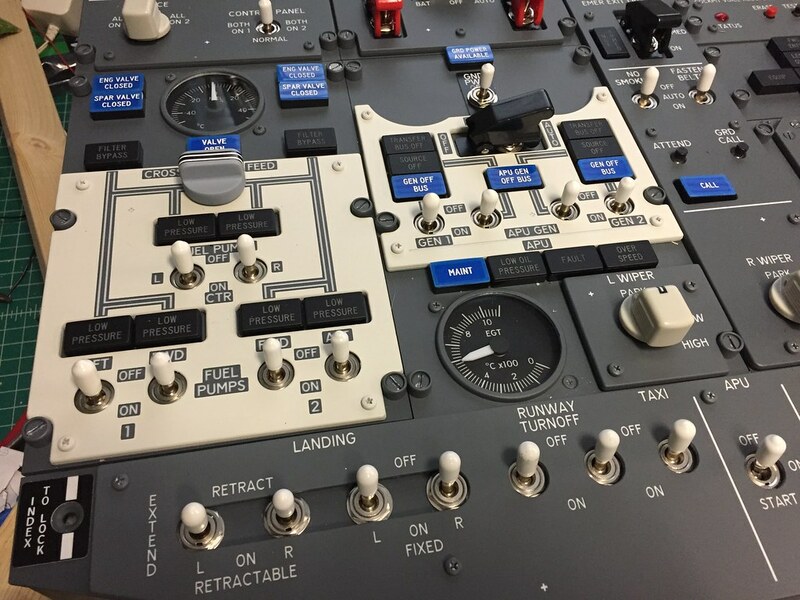 This is a great way to enjoy flying the 737. And economical too ! 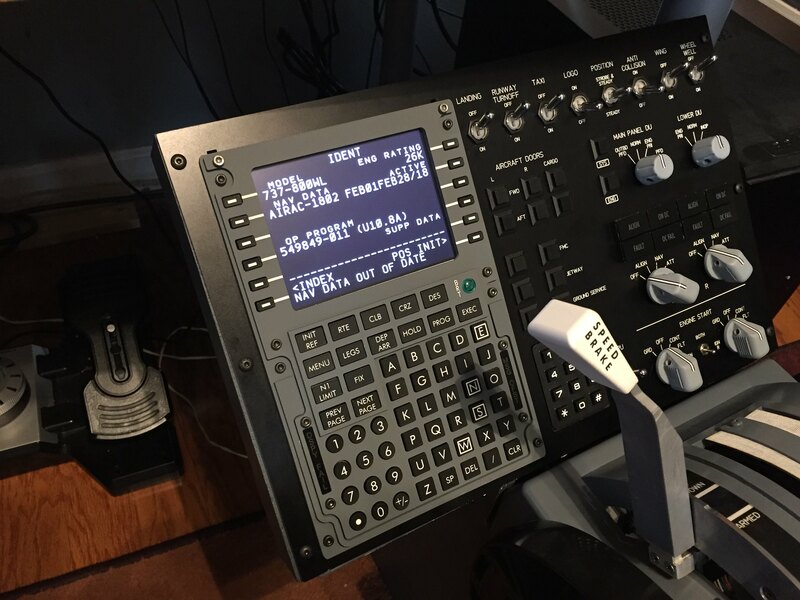 I flew with a desktop rig for 20 years before I finally bit the bullet. Will probably go back to it once I retire and move to a smaller place. 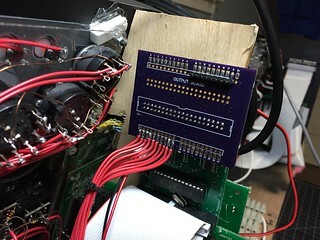 This weekend I was able to get the final bits of wiring done on the Throttle Bay and began programming all the inputs. 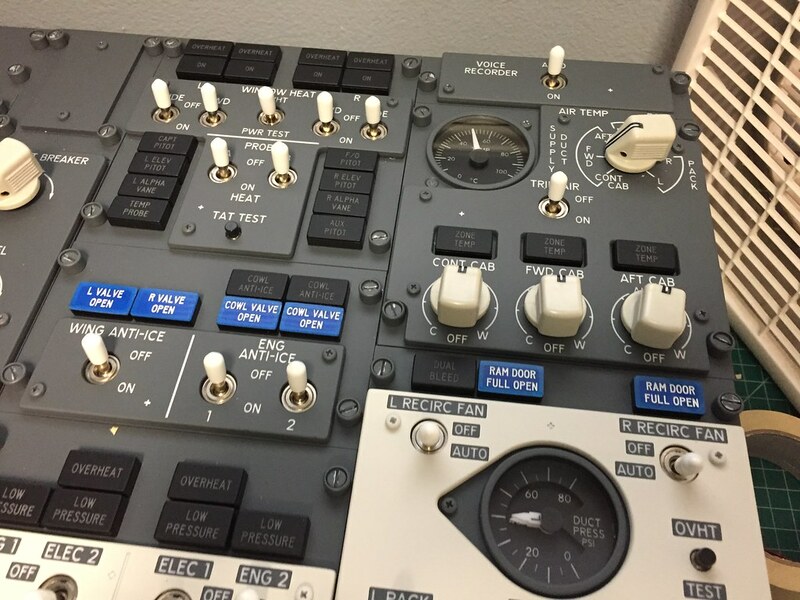 As of last night I was able to get everything setup in FSUIPC in P3D V4 except for the FMC keys. 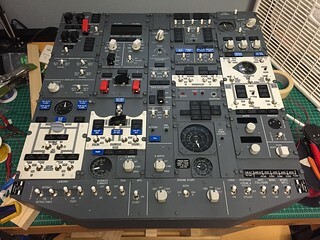 I'll need to use opencockpits SIOC for that, so that'll be this week's project. 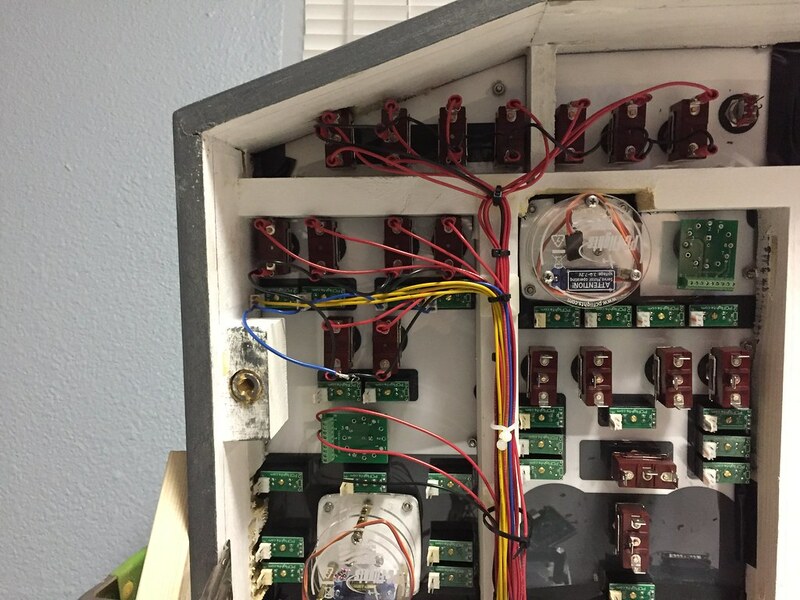 Of course it wasn't until I was programming the toggle switches that I noticed I have the "off" and "on" labels for the logo and collision lights reversed. Whoops. 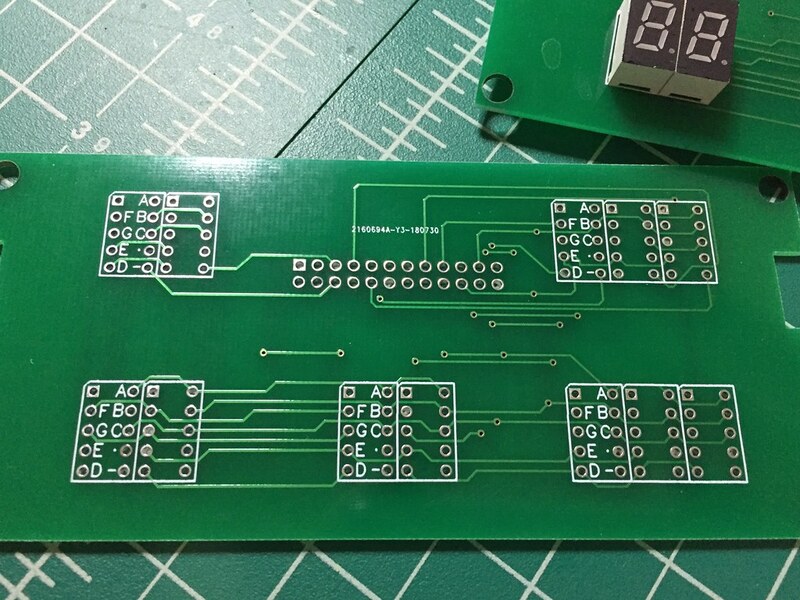 I was hoping to make some progress on the MIP wiring but I ended up running out of wire, so that's on hold till my reorder of wire arrives this week. 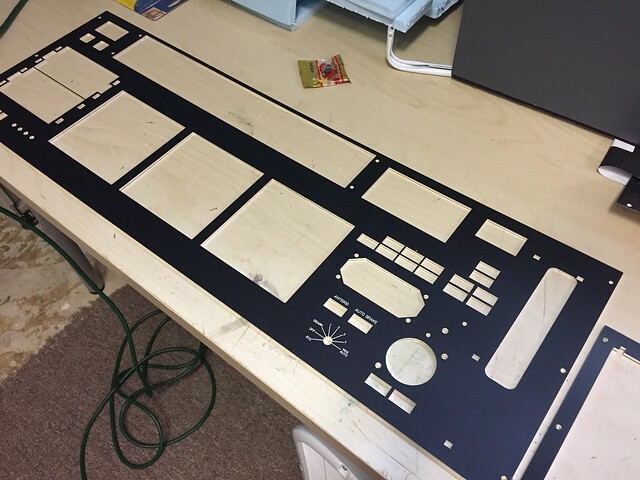 So in the mean time I started working on a overhead panel project. For this panel I was thinking rather than having all the text and such etched on the panel directly, I'd create a printed overlay with it all along with some colored panels. This way the panel could just be made with the cutouts for indicators and switches, cutting it's cost by 50%. It's an early look at the photoshop file for the overlay. 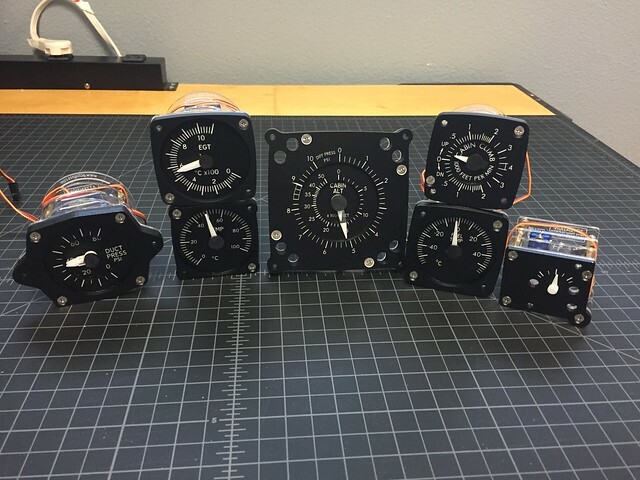 Which Throttle Quadrant did you go with? 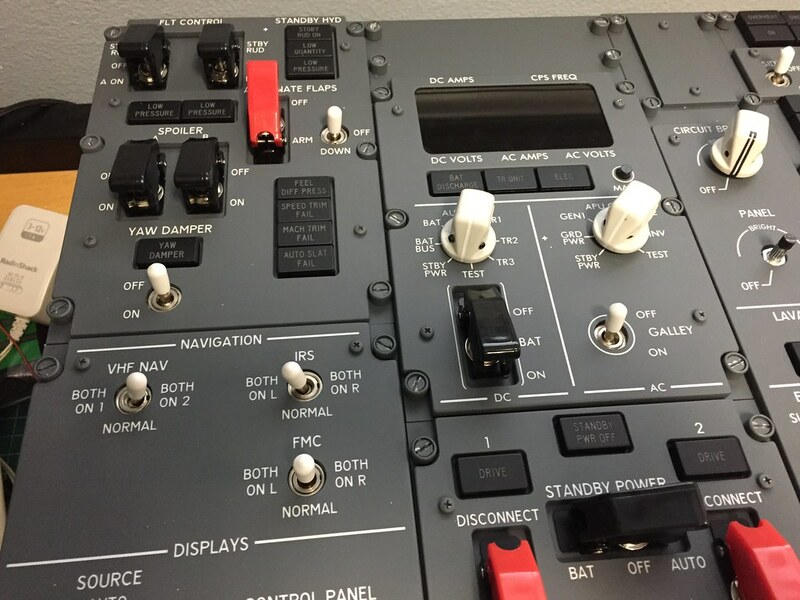 I'm using a JetMax 737 Throttle Quadrant. 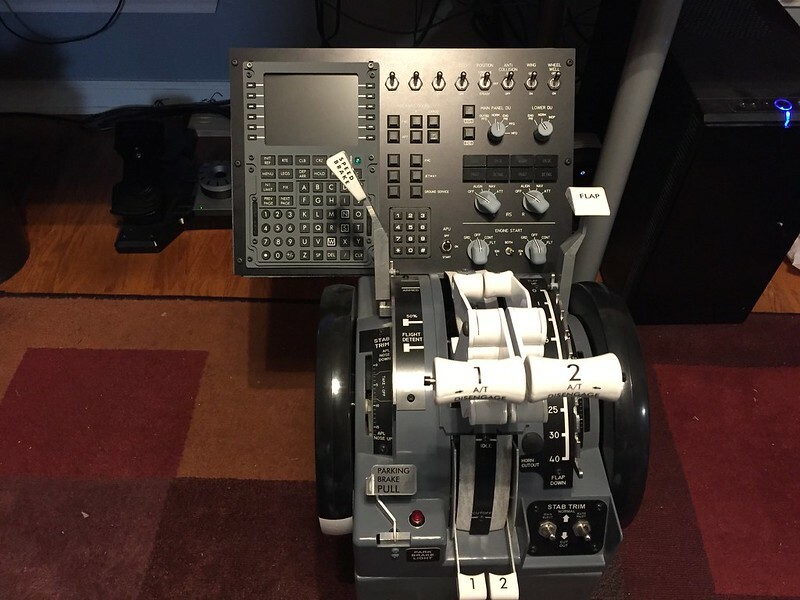 Managed to pickup one up off Ebay after JetMax stopped selling them as a standalone product. 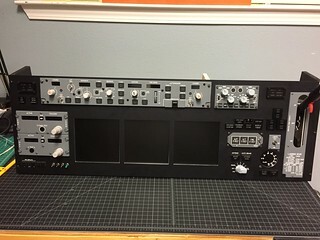 One of the things holding back MIP work- was the assembly of the COM and NAV panels. I finally picked up some window tint for the displays and was able to get them assembled and installed. In the middle of doing that I found the microcontroller on one of the Display Cards was bad. 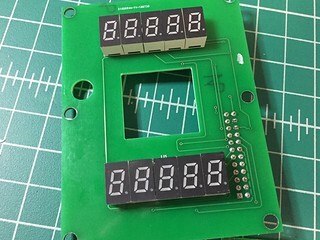 Luckily I had a PIC programmer already from my last cockpit project still, so I was able to purchase a replacement chip from DigiKey, copy the HEX code from the working chip and write to the new one. 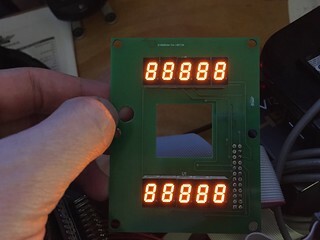 Both Display cards are operational now! Yay! With the radio panels installed I was able to get nearly all the wiring completed as well. 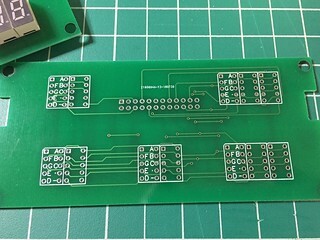 I decided to make a small PCB for making the connection from the Flaps LED board to my custom I/O board a little easier. 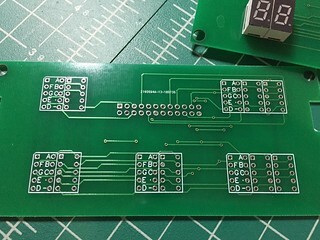 So once that board arrives that I think will round out the wiring for switches and indicators. Here's a look at the back side so far. 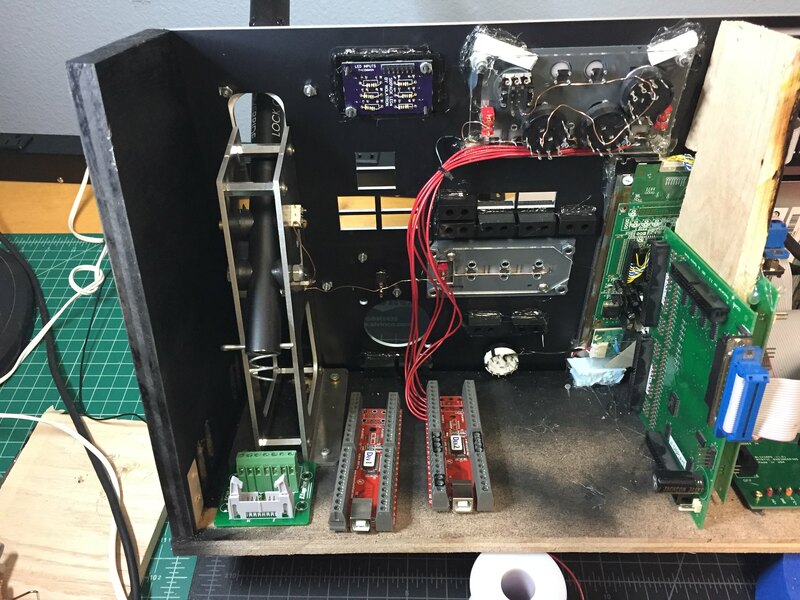 Not as "clean" as I'd like as you sometimes just gotta roll with those "gotchas" Also got a close-up shot of a I/O PCB I made as a cheaper and smaller alternative to the OpenCockpits Input/Outboard puts. 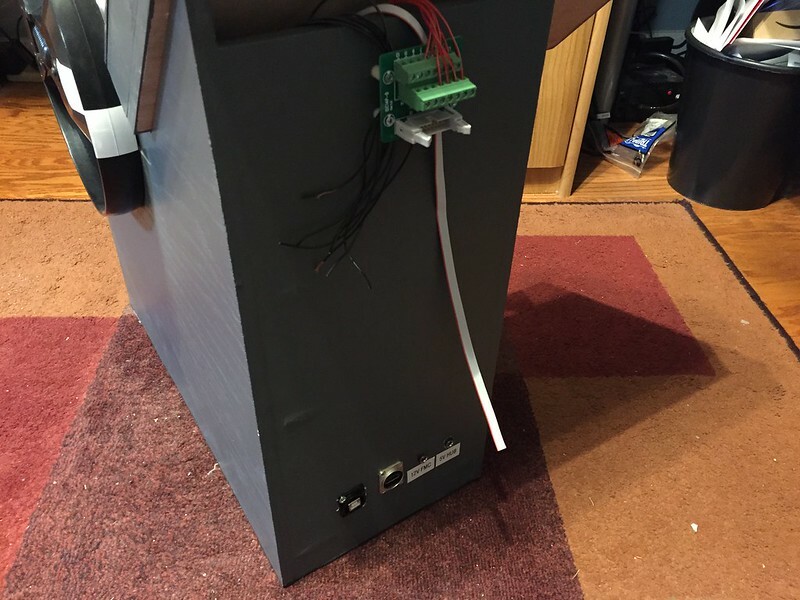 One side is for Inputs, the other for outputs and you can put female headers on and plug directly into a MasterCard or male headers and connect with a ribbon cable. So far they seem to be working well. 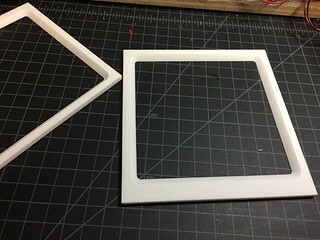 My 3D Printed display bezels also arrived on Saturday from Shapeways and they turned out pretty good. 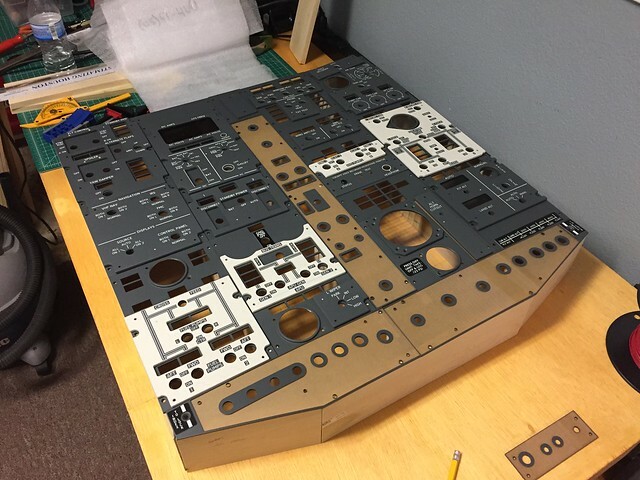 Just need to paint them boeing gray now. 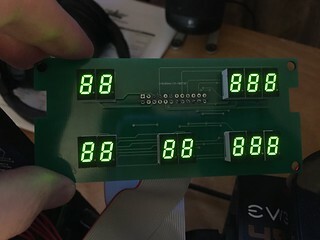 And just a look at the front side of the MIP while testing indicators. 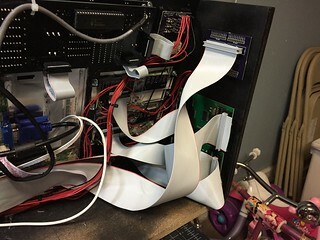 I'm waiting on a order of ribbon cable now to finish up the connections to the OpenCockpits Mastercard, then it'll be time to move it over to the office desk and start programming things. This looks great! Very nice job. A look at the Main Instrument Panel fully lit up. 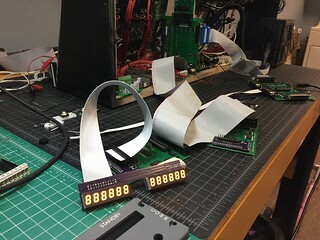 Once my Flaps PCB adaptor board arrives and gets installed, all that’s left is the installation of the Display frames. Those I began painting on Sunday. 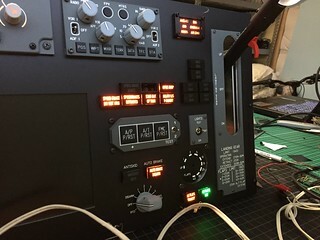 The Opencockpits MCP v3 model came backlit already (though not sure if you can actually turn off backlighting yet). 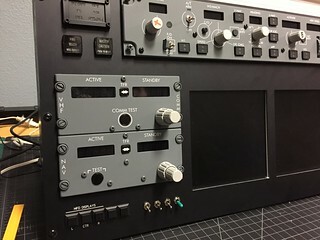 The EFIS and radio panels won’t be backlit for a variety of reasons. Testing out the SIOC code for the LED Flaps Gauge. 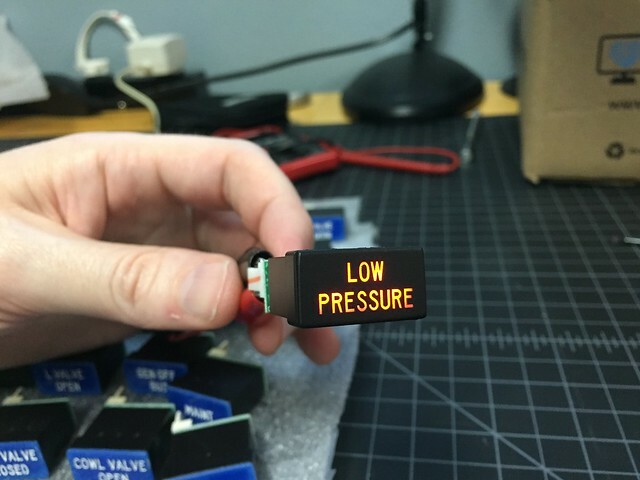 I tried having the indicators blink while the flaps are cycling through to give an indication of movement, but the blink came out like a bad flickering led, so I took it out for now. Hmm. 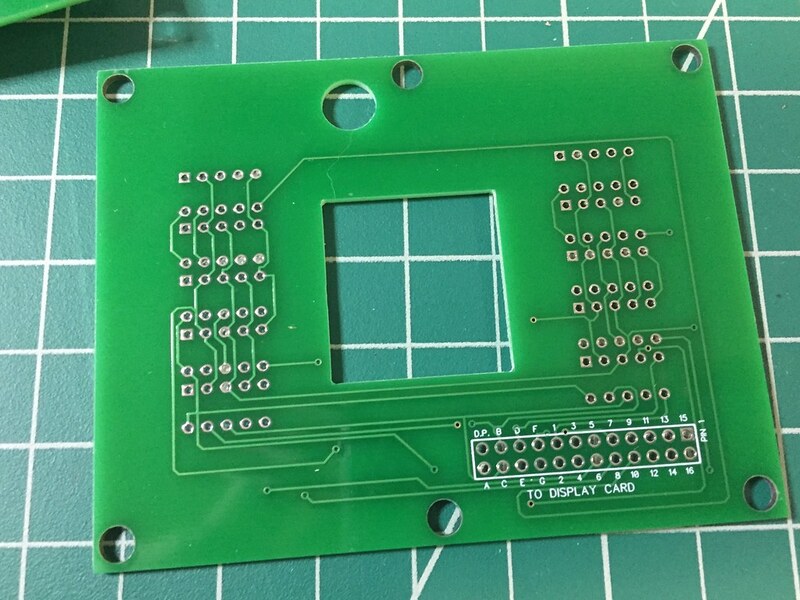 Maybe a dual color setup on a new PCB. One color for transition and then green when achieved. I'll have to test that out. 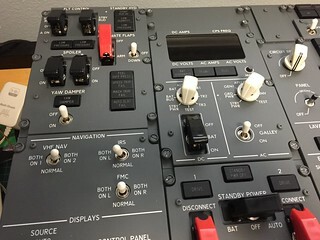 But to sum up, I purchased an overhead panel set, gauge set and indicator set from PCFlights. Once I received my PCFlights package I didn’t waste much time to get everything out the box to check it out. I was pretty anxious/nervous about seeing everything, hoping everything turned ok, but in the end I’m very pleased with my purchase. I filmed the whole unboxing of everything. It’s not the most exciting video but I did it to A) show yall how everything came packaged and what not, and B) in case something came damaged I’d have it on video showing it came out the box that way. I have that video embedded below. 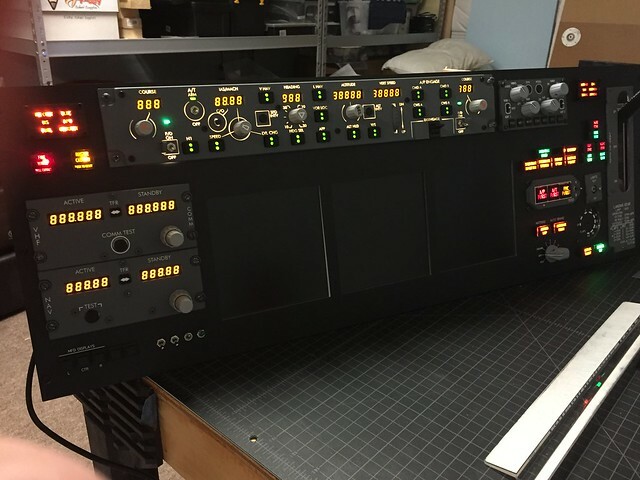 My first impression: Great looking hardware. All of the panels look and feel great. Everything was nice and sharp and well packaged. I did notice a few of larger black plates they had a slight curve to them, but I think once they are screwed down to the frame that shouldn’t be an issue. The gauges are well built using thick acrylic plates and brass standoffs for the housing, and are backlightable. The biggest surprise was the indicators. 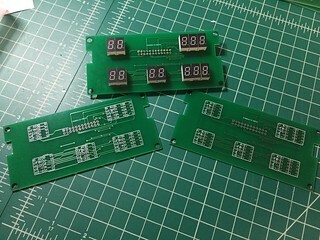 I wasn’t sure how they were going to arrive, but I was happy to see the all came preassembled, even with resistors on the PCBs (I didn’t think they would). 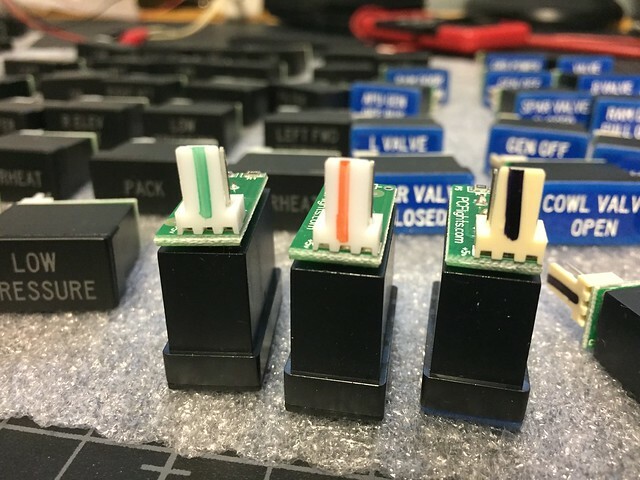 They even color coded every indicator on the pin connector. They light up great too. 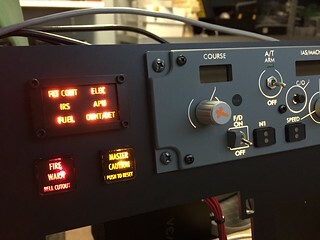 After I got everything unboxed, I took photos of each panel and gauge, along some a few closeups of the indicators. 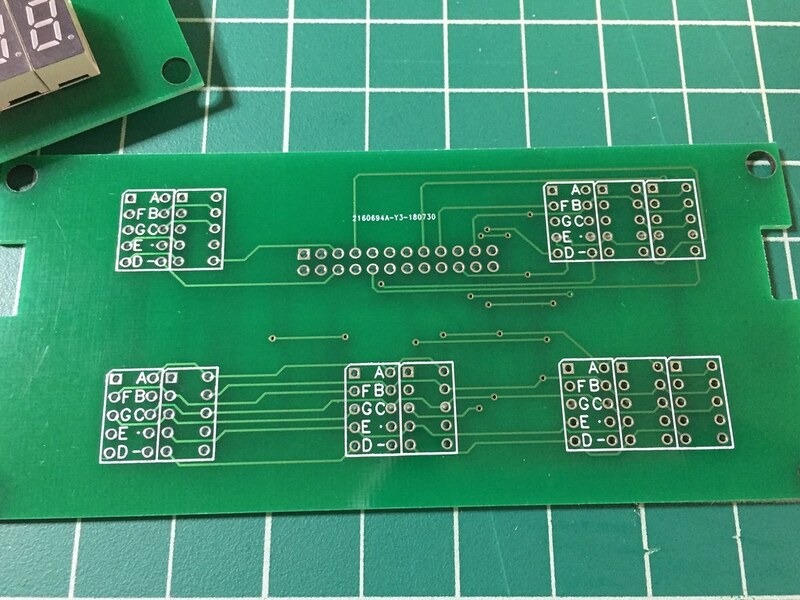 My COM and NAV radio panels currently use a Single Rotary encoder instead of a Dual Rotary Encoder, so I had to modify the OC4BAv4 script to make this work. 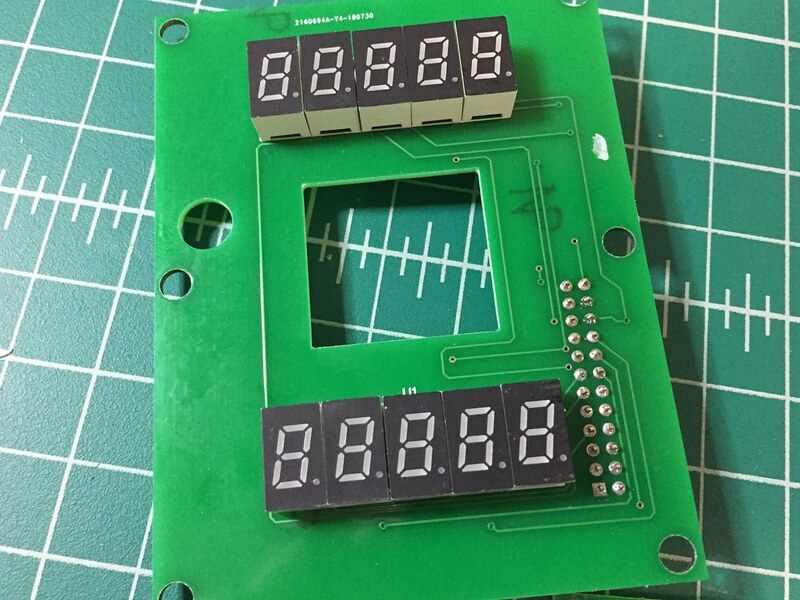 I was able to set it up so pushing the encoder’s pushbutton toggles between changing the whole number and the decimal point. 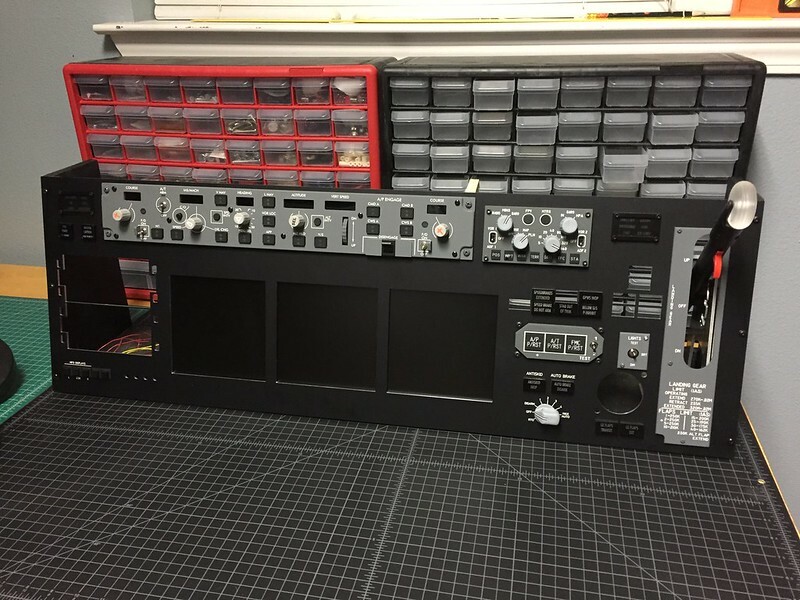 Here’s the changes I made for COM1 and NAV1 radio panels. 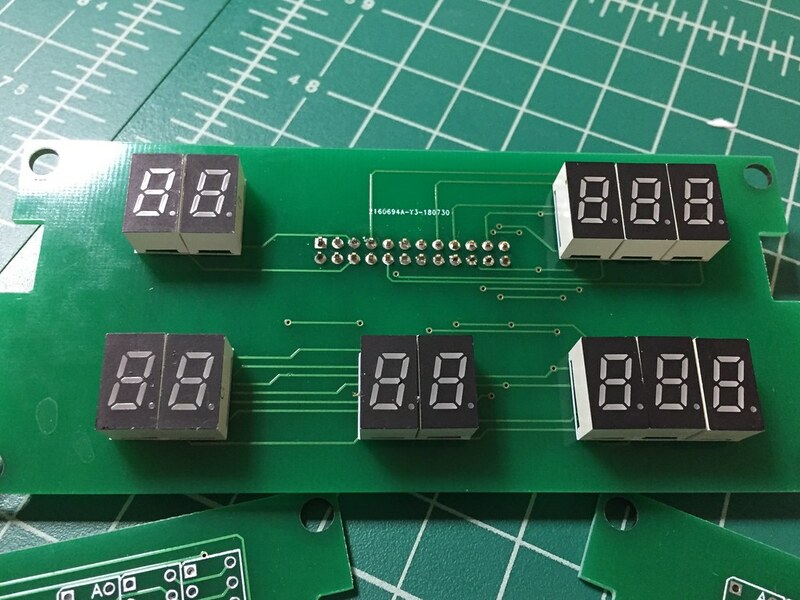 You’ll need to adjust the Device and Input numbers for your hardware, and possibly the rotation value, adding a negative (-) or not, also depending on your hardware setup. 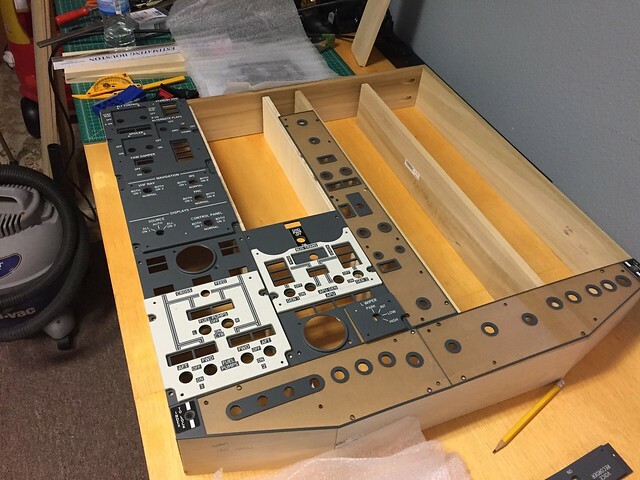 This weekend I also started working on the overhead frame. I’m using 1/2? x 3.5? 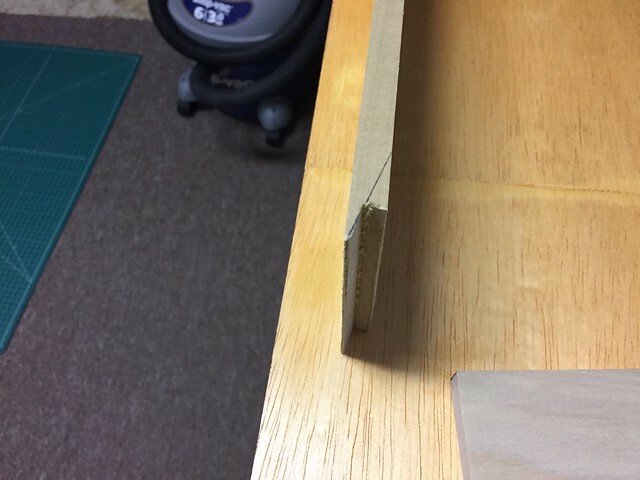 wood for the exterior pieces and currently planning on using 1? x 2? (.75? x 1.5? actual) wood for interior beams. 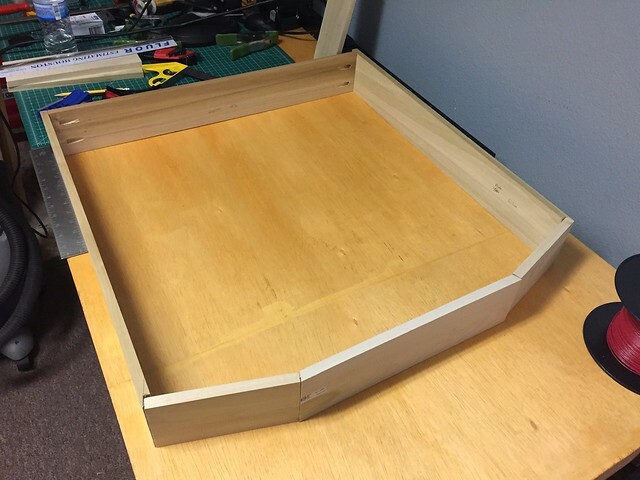 For securing everything together, my plan is using some pocket screws on the interior pieces with wood glue. 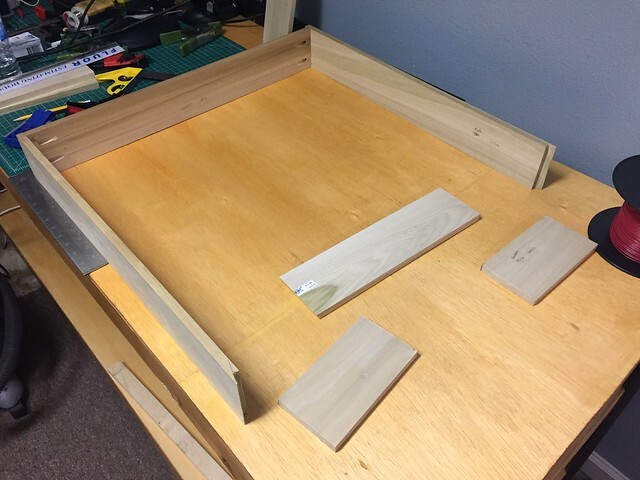 Here’s a look at the frame and the beveled pieces I made for the bottom angles. Hoping these all work ok for getting the needed angles made. 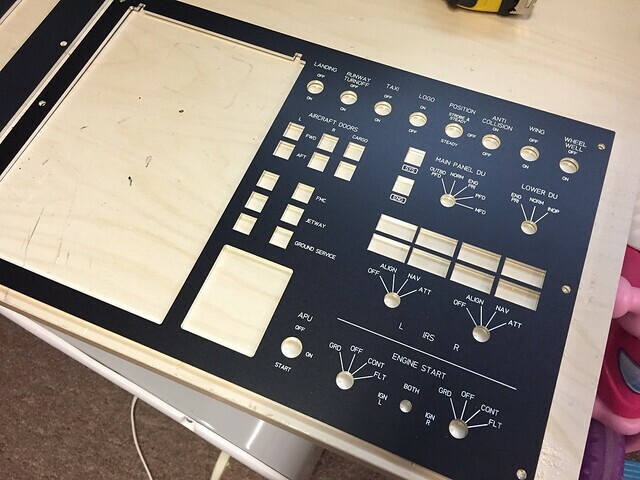 Then just test fitting the panels in place to see how everything fits. 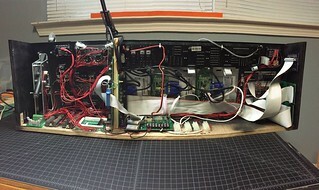 While work has been progressing on the Overhead, I got little lazy in documenting it. So I'll try to recap what's happened since the last update. After my I/O cards came in for the Mastercards. 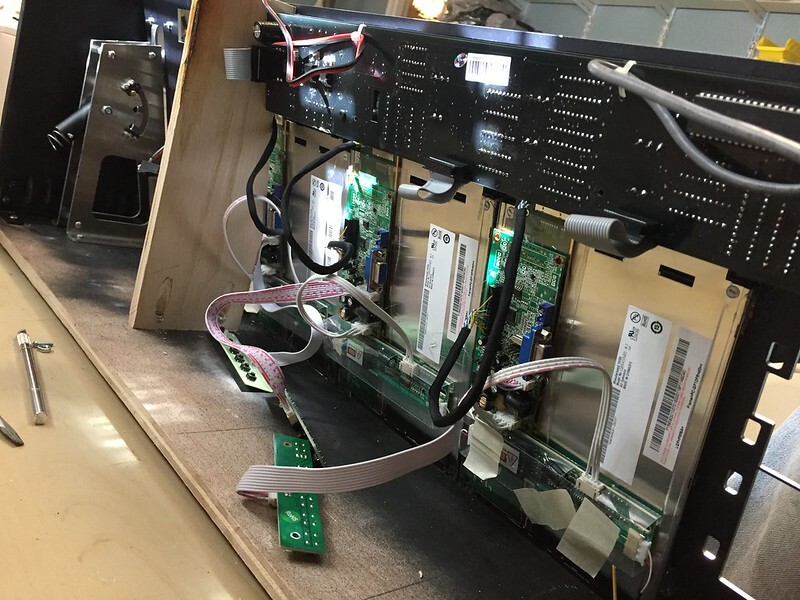 I laid out the cars on the back panel and finished working on getting all the panels mounted to the frame. 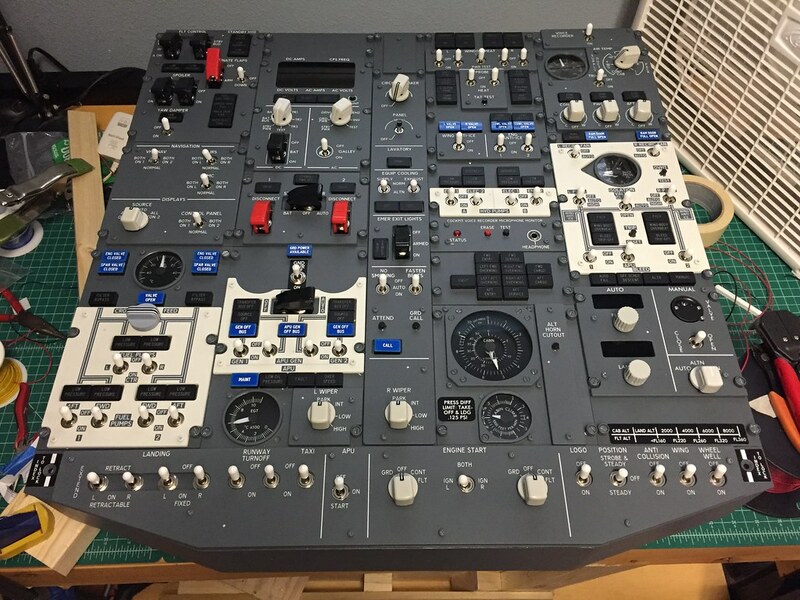 The last two panels to install were the Electrical and Cabin Pressure Display panels as I needed to design and order some PCBs for them. 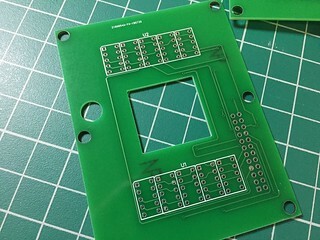 The PCBs were mounted to the panels using 1/4" black foam board sandwiched between the PCB and back panel. I didn't take any photos of that unfortunately. 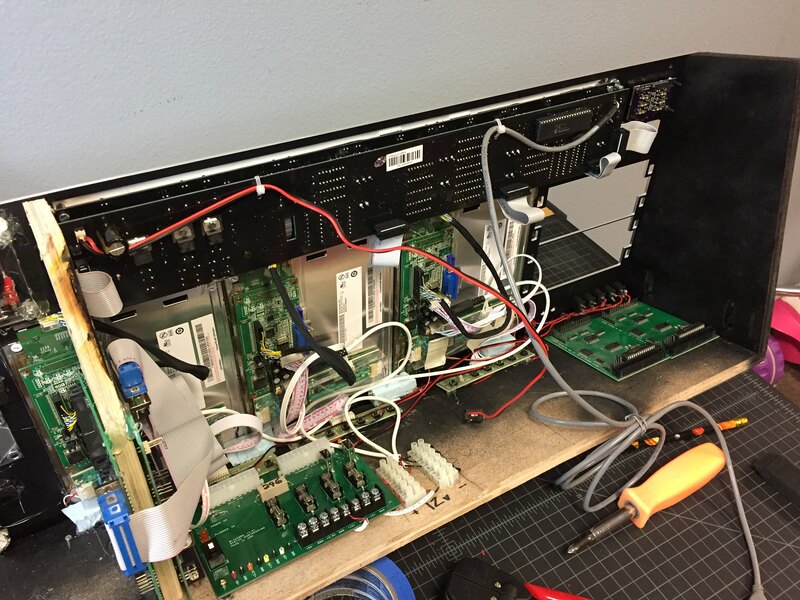 The black foam board helped with stopping light bleeding into the display windows and to hide the PCB. Next I used black electrical tape to seal any gaps between panels to prevent light bleed. I stuffed the overhead with some white christmas lights I had on hand for backlight testing for this. 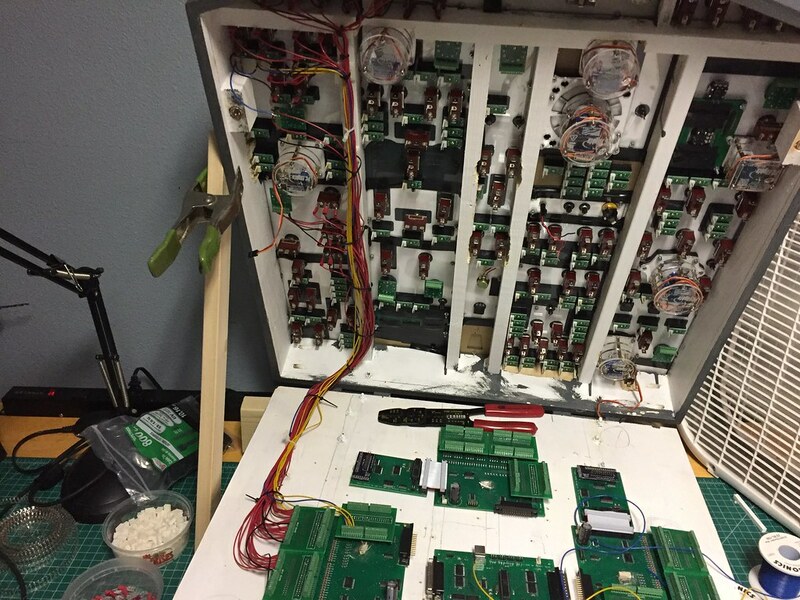 Once that was all done, I removed the lights and began the fun process of wiring all the switches and indicators. I'm currently making my way down the first column of panels. And that's pretty much it for now. 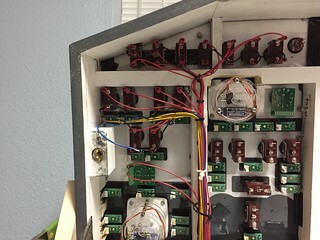 I decided to go ahead and do all the switch/indicator wiring first and they see how to add in backlighting.So lot's of progress made on the overhead since my last post here. you can find a recap of of it all at the link in my signature.